Just curious, did you get this engine from CT? Anybody wanna talk about the "top secret" tecumseh motorsports engines???? I have the flathead version and I am sure that OHV one would be stronger yet. 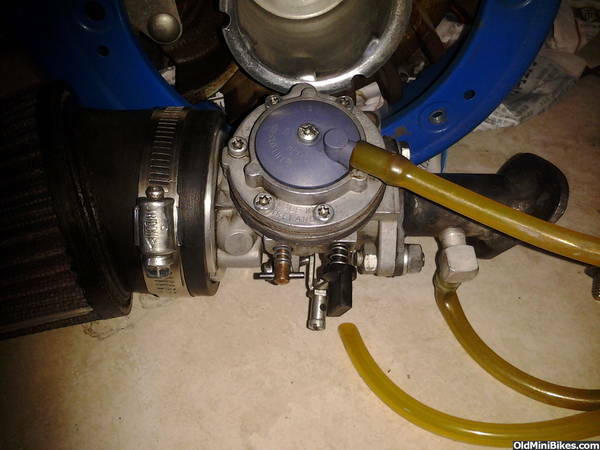 The 365B is the same carb the H50 motorsports came with and is a good carb for performance. 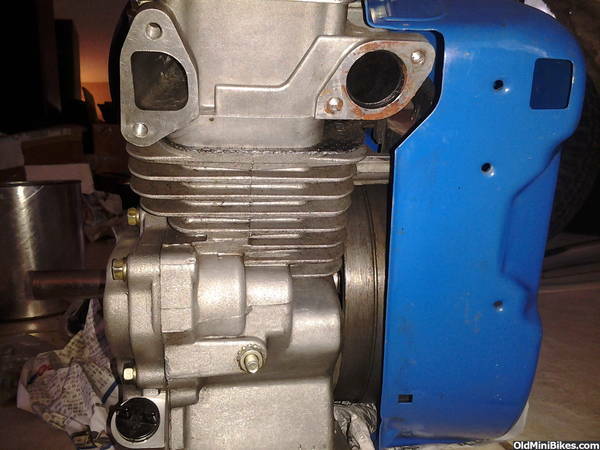 The engine should also have a billet rod in it as well. 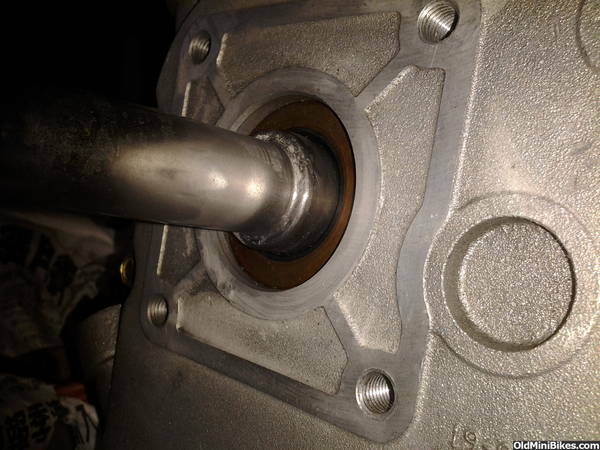 That is a oil seal in there why do you think it is missing. You could post on Bob's 4 cycle for more info, Jeff Clements was head of the Tecumseh motorsports group for a while and knows all about them. Thanks ole just hoping some more info is out there. Let me know how that dyno ca works out too for your engine. Will do. The h50 I have also has SS valves strong springs and split keeper alloy retainers. Cam was special and is easier to weld than stock cam. I suspect yours does as well. 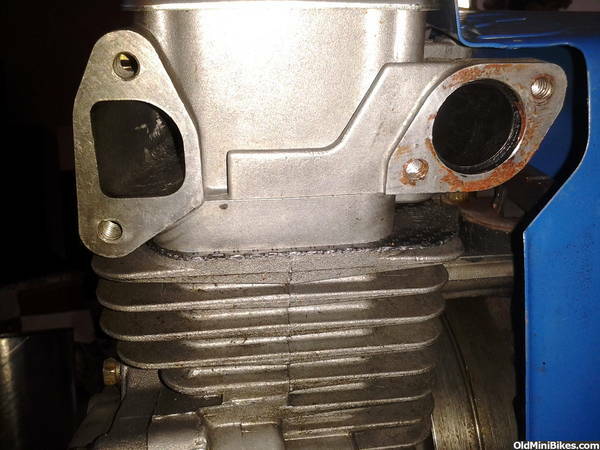 Pull valvecover and check retainers. The springs look like they have yellow on them the retainers do not look alloy or "split" not sure what that means. My h50 had alloy with two keepers that are tapered just like the inside of the retainer. Just like a car retainer. Mine also had a unique chi coil. Those are great little engines. I used to run them back in the day. They had a ball bearing on clutch side, unlike most all OHH engines. It should have a billet rod with insert bearings, upgraded springs, a better than stock cam. The factory part number was SBH-9999. 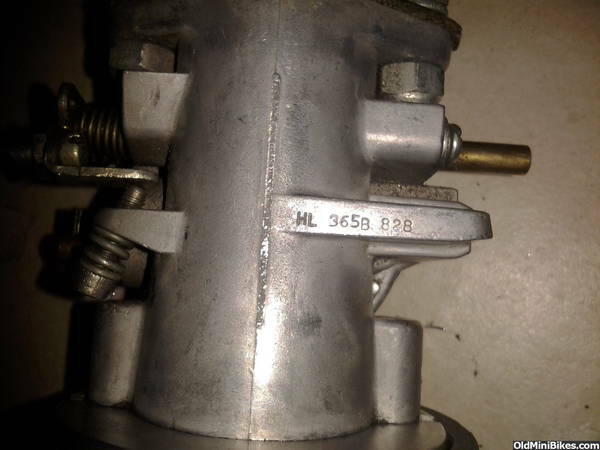 You can do a search for that number online and find a breakdown of the parts for it. All of the numbers ending in "K" are Tecumseh Motorsports specific parts, and none of that stuff is available anymore unless you get lucky. All of the gaskets, etc are standard and are readily available. I hope this helps. 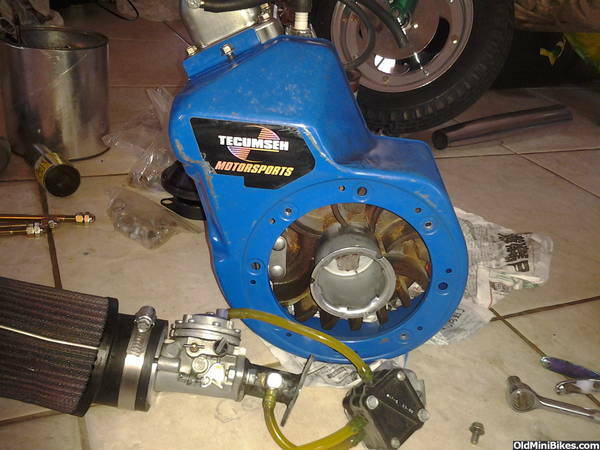 Good info tec power if anyone has a motorsports engines please postup some pics .Lets see what ya gots and how ya run it. Here's a few. That is a Robertson header on one of them. They work well on these engines. Wow that pipe looks great. Is that for the raptor? No, it is made for the OHH Tecumsehs by Robertson. Yeah those pipes are awesome! might have to get one sooner or later. Looks good! Those H50's are strong and make big torque. I built one of these but the non racing version for my trike. the ohh55, its had a lot of work done and is scary powerful. I recommend a good header, oversized valves ( the stock ones are small) with head work advancing the trimming a re ground high lift and aggressive duration cam with matching springs and maybe a diaper, when your done you'll need it lol. there have been several interesting threads about building ohh55s on this site and even a thread where a member modified a head off another Tecumseh to fit this one for a better flowing head. they are worth a read. as far as I can tell most parts that fit the racing version also fit the non racing version.